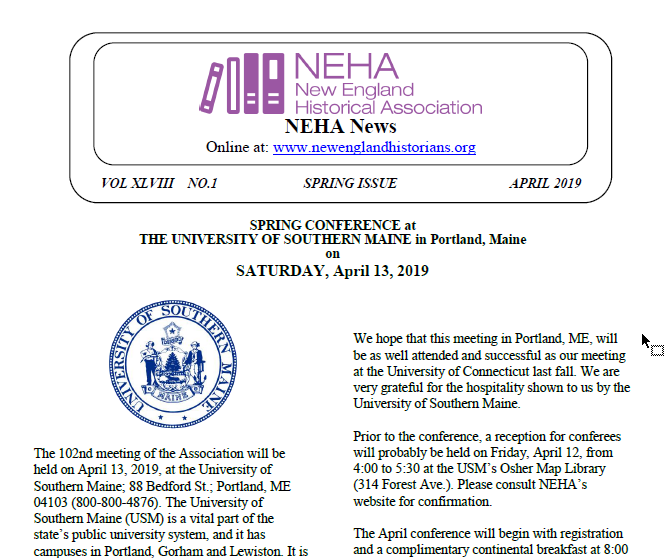 The New England Historical Association condemns, in the strongest possible terms, white supremacy, racism, anti-Semitism, and all other acts of bigotry. We also reject the false equivalencies drawn between the actions of hate groups, and those who protested against them. While recent conversations have understandably focused on the incidents of white supremacy in Charlottesville, we urge people to remember that our country has a long and troubled history when it comes to racism, and one from which other regions of the country (including New England) are not immune. The Southern Poverty Law Center’s hate map, which documents 917 different hate groups across the United States (as of August 2017) is one of many sobering reminders of the pervasiveness of racism and other forms of hate in the United States. It is therefore critical that we do our utmost to contribute to ongoing conversations about race and racism, and not to silence the voices of people who have suffered. As historians, we also must remind people that monuments and statues are political artifacts that may or may not, in fact, accurately represent history. In the case of the monuments of the Confederacy, most of them were constructed decades after the Civil War, during a particularly dark episode of our nation’s history. A study by the Southern Poverty Law Center reveals large spikes in the building of Confederate monuments and schools with Confederate namesakes that correspond with key events, such as the founding of the NAACP (1909), the 1915 resurgence of the KKK, and during the battle for the desegregation of United States schools and universities in the 1960s. (SPLC, 2017) These monuments honor slave owners and others who fought to preserve an empire of slavery. They are not limited to states that were members of the Confederacy, either. The recently-removed statue of Roger Taney stood in front of the Maryland Statehouse, honoring a judge who denied the humanity of African Americans under the law. Maryland had remained with the Union during the American Civil War. Whether these statutes are ultimately removed, or reinterpreted to acknowledge these pasts, we support our colleagues, students, and others who are the targets of hate. And we recognize the importance of speaking up about these histories.